Last weekend I bought a bunched of mixed berries to make a coffee cake for a family breakfast that didn't happen....so what to do with all these berries? French toast and a warm berry compote of course!! I looked at Pinterest to find some recipe I could follow but wasn't too excited about any. So I combined a few items of my favorite and came up with the following. 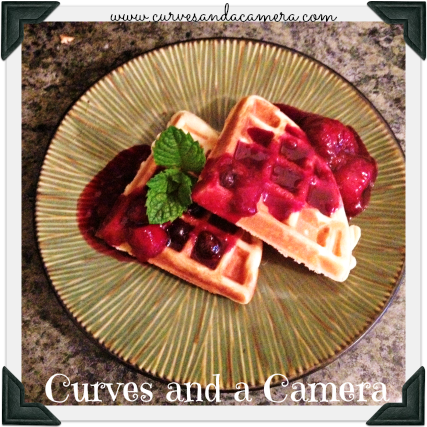 It was so yummy - tart and tangy but still naturally sweet from the berries (and the maple syrup doesn't hurt either). 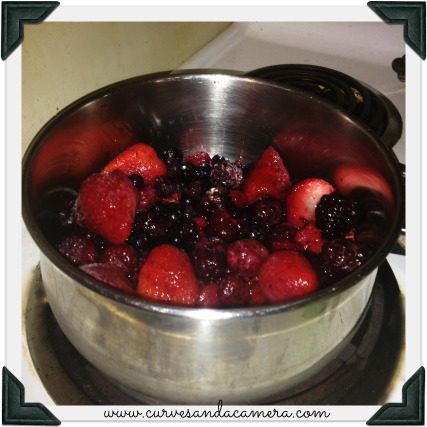 Add berries, juice, syrup, and salt into saucepan, on medium heat. Remove lid and simmer on low 10minutes.